Collaborating with the Lucasfilm Museum of Narrative Arts Archives, and utilizing a digital scan of the actual surviving special effects miniature and original model kit parts, the EFX Millennium falcon is an accurate approximate 1:100 scale reproduction of this iconic ship. We are confident that this be a proud addition to your Star Wars collection! Product Size: 19" x 16.25" x 8.50"
The EFX master patterns were made from the original master molds that were used to make the screen-used helmets. 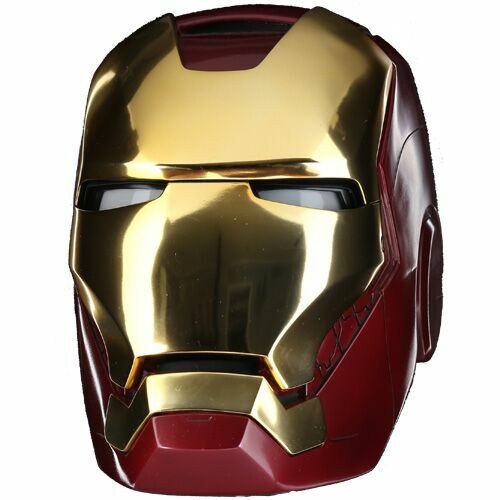 This helmet was custom fitted to Robert Downey Jr. to fit snugly so that it would not move or wobble when worn. 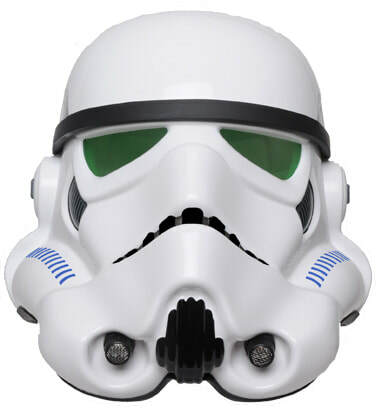 The helmet is made in 3 removable pieces, just like the original prop. The faceplate is held in place with magnets and in the screen-used helmets, magnets were also placed on the top of the helmet to hold the faceplate in the open position. The helmet appeared to open and closed by a digital process known as "morphing" Also, the faceplace and chin piece were plated in real gold! With the provenance of the master patterns made from an original screen-used helmet from the Marvel Studios archives, the 2 piece construction, accurate paint scheme, and even the hardware detail, we are confident that you will be proud to display this helmet as part of your prop replica collection for years to come.